Has anything changed since Occupy Wall Street first began? Smaller banks and commercial finance groups are starting to speak up about bad service and unfair competition from the bailed-out (“too-big-to-fail”) banks and about how inefficient they are. Also, I believe the reversal on debit card fees is a direct result of Occupy Wall Street, which helped fuel the consumer backlash. The protests and media coverage certainly amplified concerns and heightened the conversation. It’s a claimable victory for Occupy Wall Street. Have smaller community banks and credit unions benefited through customers moving their money out of the large Wall Street banks? Smaller banks may have benefited in increased deposit relationships at the beginning. 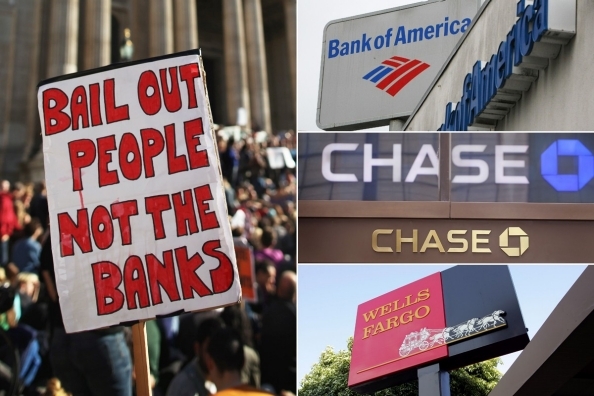 Have bank customers become more polarized? Absolutely. Occupy Wall Street needs a bit more direction and few bullet point issues to rally around. In the early stages, the movement was driven by a general feeling of malaise, but as time goes by there will likely be a rallying around a few key issues. This is when the movement will really gain momentum. Whoever strikes the note will emerge as a thought leader in the space. Have lawmakers listened, and if so, what are they saying in an election year? Nothing. They are still clueless and afraid. In this instance, is social media’s bark bigger than its bite? I don’t think so. Wait for the weather to get better in spring and summer of 2012. The movement will explode, and social media will prove to be a potent rallying force in its support. Keep in touch with the team at US Capital Partners: Tweet us at @smallbizlending and share your thoughts on Occupy Wall Street (OWS). Is Your Bank About to Call Your Loan?